Work for RapidScale CloudServer - IaaS? Learning about RapidScale CloudServer - IaaS? "Hands down best support team I have ever dealt with"
As stated in the title Rapidscale has hands down best support team I have ever dealt with. I am the Chief Technology Officer in my organization and I have to deal with support teams constantly on a daily basis. In the 3 years I have been working with Rapidscale their support team has not seen a lot of turnover and normally the support reps know me by name when I call in. You cant ask for a better team when in comparison to companies other support teams "your just a number and a ticket." On rare occasions there have been issues with one of Rapidscales providers which is out of their control and understandable. Complete "work from anywhere" environment for all our Lawyers in multiple states. Excellent 24hour support team that actually listen to problems instead of passing the buck or blaming something else before troubleshooting. "A 15 year leap in services, security and technology"
The best thing about using RapidScales' IaaS is RapidScale. Service is only as good as the people supporting it, and the RapidScales' staff (from the help desk to the sr. engineers) are incredibly resourceful and responsive. Essential Ingredients' biggest disappointment is that we didn't connect with RapidScale sooner. We could have saved a lot of time and money. Deployments, upgrades and migrations go-live in a fraction of the time experienced with past vendors. Using RapidScale to host our IaaS has been the answer to our past "Managed Service Provider" (MSP) problems. Where others fall short, RapidScale has proven in reliability and responsiveness which continually validates our decision to run our business on RapidScales' IaaS. "A Great Partner and a Great Cloud Services Provider"
RapidScale has been our primary hosting and infrastructure provider for almost two years, and over that time they have become one of our most trusted partners. They take the time to understand our business and then build an environment tailored to needs. Any infrastructure transition creates a difficult on boarding process, but RapidScale went to great lengths to help make the migration process as efficient as possible. Do your research, because if you engage with a provider who doesn't have the same level of expertise as RapidScale you will be disappointed. RapidScale provides everything from basic storage and virtual machines, to complex solution consulting. "Best Performance/Price Point for IaaS"
RapidScale IaaS has allowed us to scale our business without a significant hardware expense and a flat monthly fee for a set number of resources that can grow with us. "Excellent Product/Services and Superb Customer Support!" Very reliable and consistent hardware, software and network platforms. Technical support teams are A++. The service level agreement is excellent! Rapidscale has been effective and quick in dealing and resolving any issues as they arise. I could not recall of any instance where issues linger so I only have a good and positive feedback/experience with them. Rapidscale provided us the scalability and the competitive advantage! Met all our business continuity and disaster recovery requirements. Provided as with a secure computing environment to meet all our regulatory compliance needs and requirements. * We monitor all RapidScale CloudServer - IaaS reviews to prevent fraudulent reviews and keep review quality high. We do not post reviews by company employees or direct competitors. Validated reviews require the user to submit a screenshot of the product containing their user ID, in order to verify a user is an actual user of the product. Hi there! 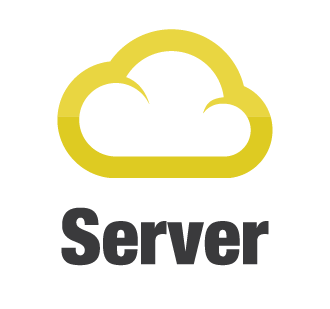 Are you looking to implement a solution like RapidScale CloudServer - IaaS?